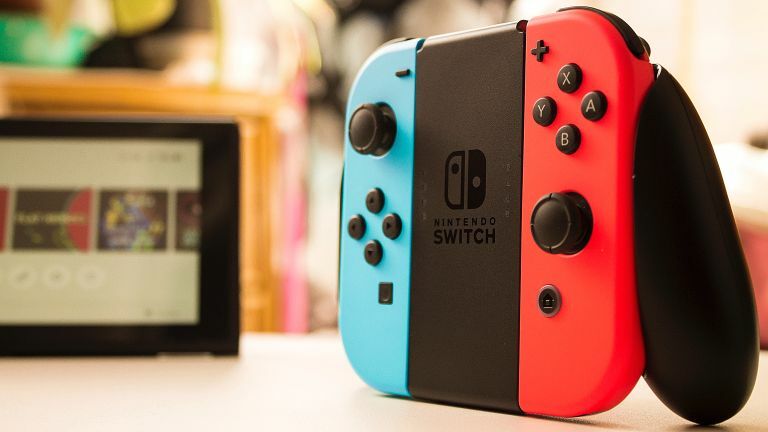 Nintendo will unveil two brand-new Switch consoles during the E3 video game trade event on June 11, according to sources speaking to the Wall Street Journal. That is much sooner than previous rumours had suggested, which pegged the Switch successor launch date much closer to the Christmas shopping season. The all-new Switch will purportedly ship in two flavours. The first will be a low-cost variant that omits the next-generation vibration feature built-into the detachable Joy-Con controllers. Dubbed HD Rumble, the haptic feedback system is much more precise than rival controllers. As such, it can be used to mimic the exact feel of the individual tumblers moving inside a lock to let players know when a safe is ready to unlock, as seen in one of the games included in 1-2-Switch. With this feature gone from the more affordable Nintendo Switch, it's possible the forthcoming console won't be able to play the complete library of titles. According to the Wall Street Journal, the new handheld is seen as a successor to the Nintendo 3DS – not just a way of making the Switch more accessible to players with different budgets. This tallies with an earlier report from Nikkei that claimed Nintendo would launch a smaller Switch with a focus on portability later this year. Meanwhile, little is known about the higher-end Nintendo Switch. It's unclear whether this will cost more than the current-generation Switch, which is priced at £279.99 ($299.99) or whether it will simply replace it in the line-up. According to the Wall Street Journal, the new console will have “enhanced features targeted at avid video gamers" although it doesn't have much detail on what exactly those enhanced features will be. The Switch is currently powered by Nvidia’s four-year-old Tegra X1 processor, so there is definitely room for improvement there. Elsewhere, we've previously heard rumours of a 1080p touchscreen being fitted to the device to improve the quality of gaming on-the-go. The Switch is already capable of outputting content at 1080p – as it does whenever it is connected to a HD television using the dock, so Nintendo wouldn't even need to update the internals to drive the upgraded display on the Switch 2. Some have suggested a move to OLED on the device would also a good way to enhance the so-called Switch Pro. OLEDs boast a number of improvements over LCD, including deeper blacks and more vibrant colours. They can also be more battery efficient. But while the latest glut of rumours is undoubtedly exciting – Mario Kart 8 Deluxe on a 1080p OLED screen on your next flight, anyone?! – it's worth pointing out that Nintendo top brass have vehemently denied all previous rumours of a Switch 2. Back in January, Nintendo President Shuntaro Furukawa said: "We are not considering a successor or a price cut at this time," which seems pretty conclusive, doesn't it? Still, fingers crossed that we'll see some hardware tweaks to the Switch at E3, which will also when Microsoft announces its new game streaming plans to rival Google Stadia. T3 will have all the news as it breaks, so stay tuned.